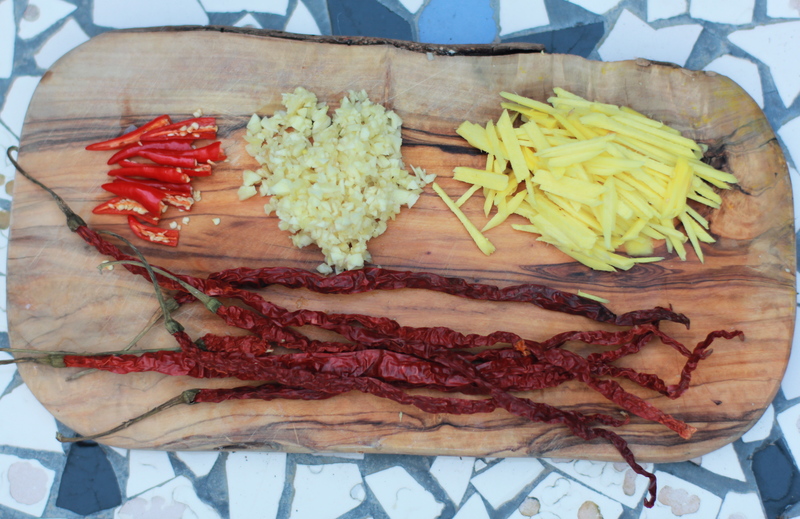 I’ve been playing around with some chillies I bought from Brighton’s new spicy food store, Chilli Pepper Pete’s. They came in a huge bundle, about 25cm long, just asking to be hung up rustic-style in our kitchen. The store owner told me she has them specially imported from China, so I’m not entirely sure what they’re called. 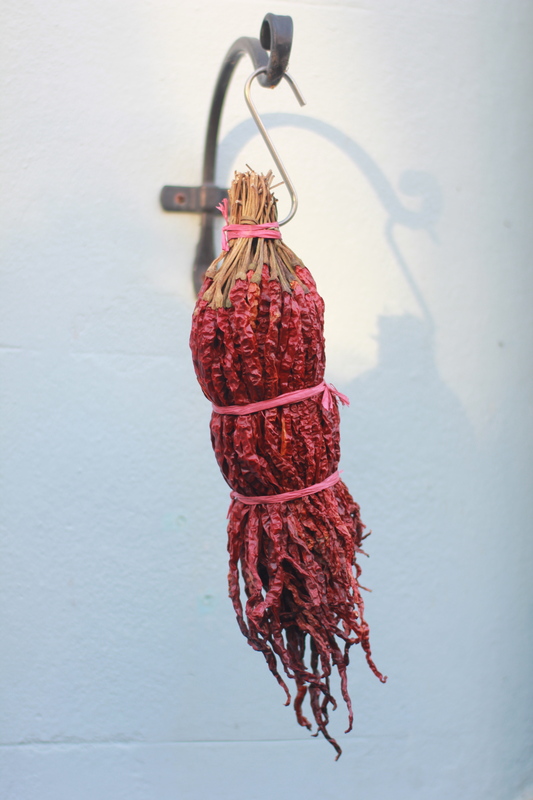 They are mild in the same way as the dried reds you usually find floating in large numbers in Sichuan cooking. Cooked until softened, they lend flavour for the timid, but are entirely edible and not as threatening as they might look. But unlike regular Chinese chillies, these impart a delicate smoky flavour. It’s not as aggressive as chipotle, but imbues food with a mild smokiness that’s really pleasing. 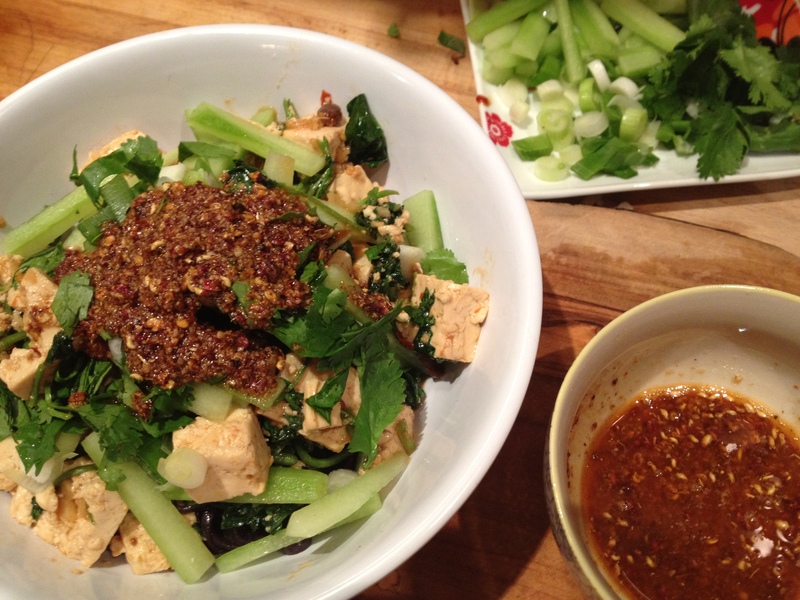 I’ve used them here with spring greens but it would work really well with tofu or, I think, with pork. Last night I tested the combination out on JD, M and their friend from London who came by for dinner. Given the unseasonably beautiful weather we’ve been having, I should probably have been making light summery salads but I’ve always thought a long day at the beach can work up an apptite for hearty food. 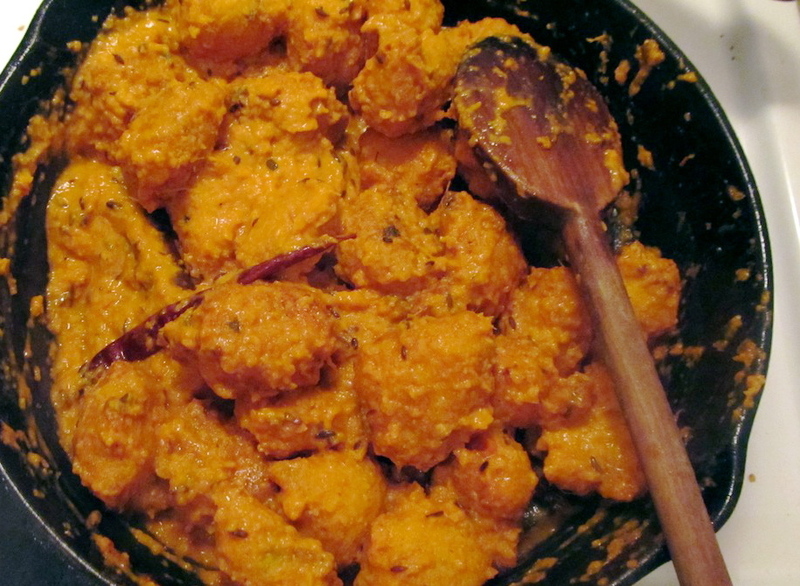 Since M is a vegetarian, I made several vegetable dishes and one meat one for the omnivores. For the meat-eaters I slow-braised some pork in dark soy and ginger and for a couple of other vegetable dishes, I turned to Naomi Duguid and Jeffrey Alford’s Beyond the Great Wall, which I’ve been reading avidly. I made a simple but delicious dish of tofu skin in chilli sesame dressing and another of edamame with pickled chilies and sliced garlic. (Er, yes, detecting a theme there. I had a moment of fear that P might not like chillies but luckily she did!) 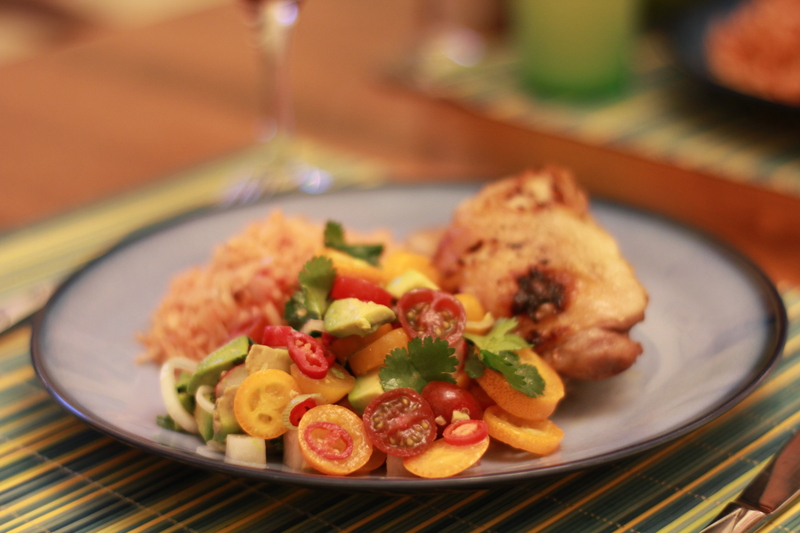 It was a relaxed mix of dishes, all simple, based on one main ingredient, and perfect for an unexpected late summer evening. 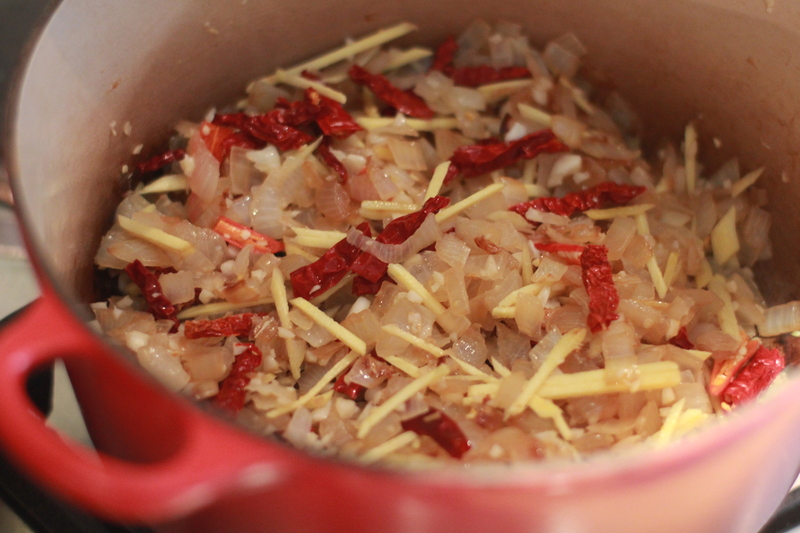 Sauté the onion until it is soft and browning in places, then add the garlic, chillies (fresh and dried) and ginger. Fry until soft and fragrant. 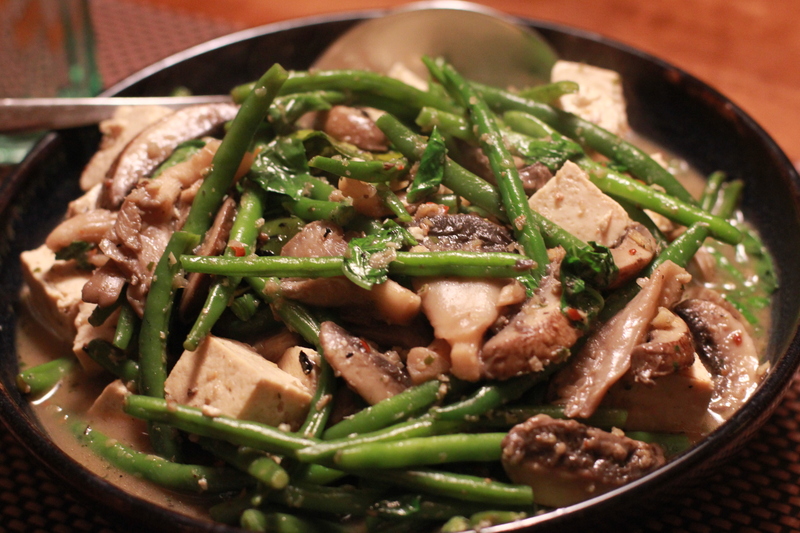 Add greens, wine and soy sauce, cover and cook on a low heat for 30 minutes. 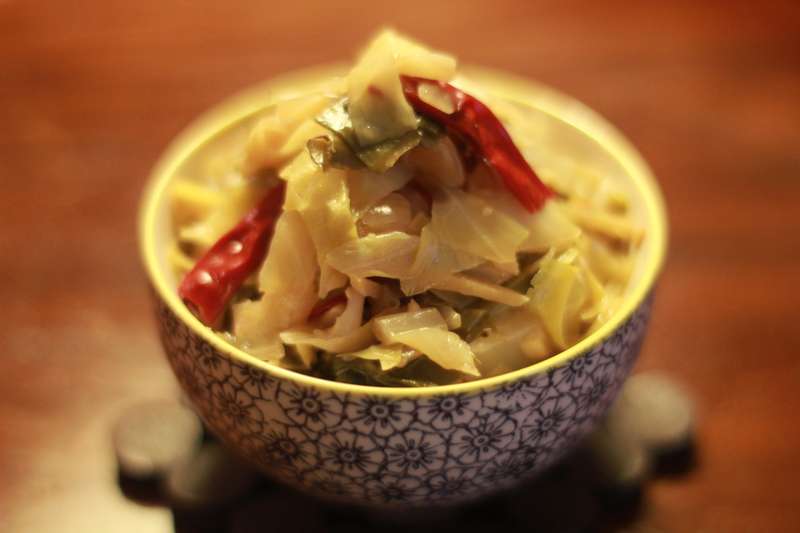 The smokiness of the long chillies is a key feature of this dish. If you can’t get those, add in a dried chipotle to get some of the same quality. 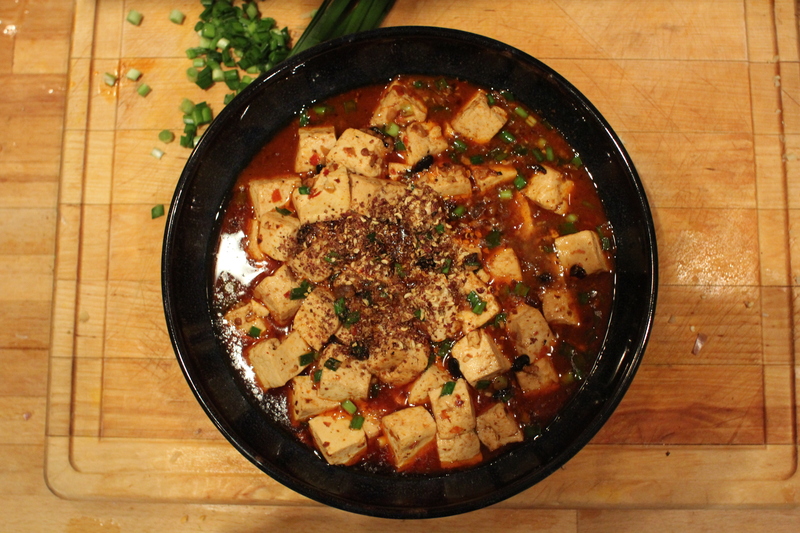 This dish works as I served it here as a side in a Chinese meal, but it also works as a simple dinner served with rice. 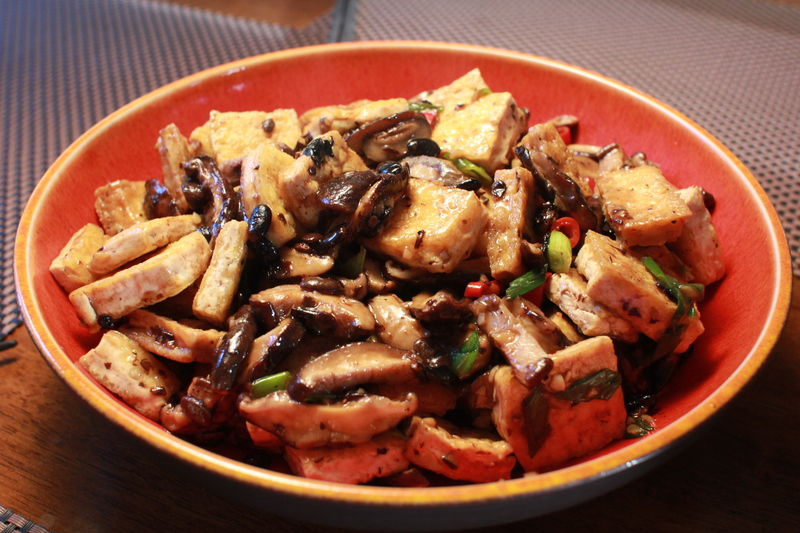 I’ve also served it with simply grilled beef on top, or, for a more substantial vegetarian main meal, it’s good with creamy cubed tofu mixed in. This trip to Paris was less meaty and heavy than previous ones, what with the not eating French food plan, but restaurant food is always a bit excessive, so I’ve been enjoying a week of Asian spicy salads to recover. There’s probably nothing I like more than an Asian salad – the mixture of cooked and raw vegetables, sometimes meats, and sparkily flavoured dressing is my idea of perfect warm weather food. 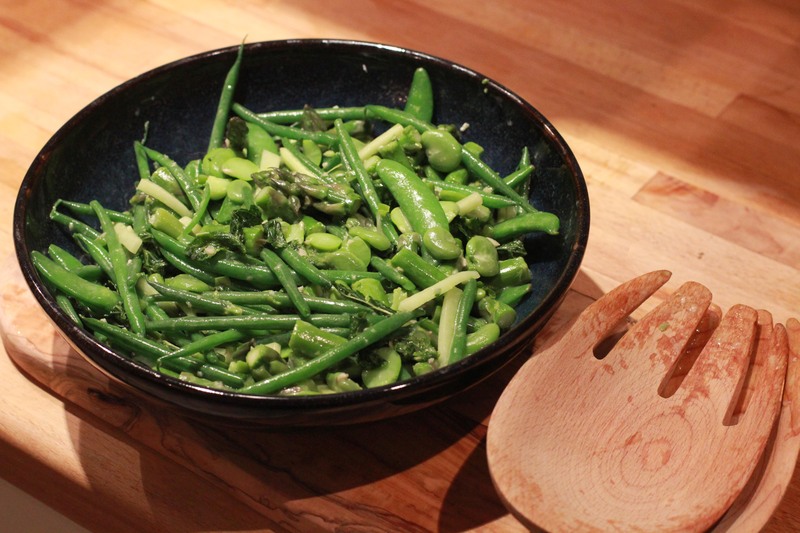 This salad of green vegetables is an idea I learned from Vatcharin Bhumichitr’s great little book Vatch’s Southeast Asian Salads, and I’ve been making it in variously adapted forms for years now. Essentially, the dish involves lightly blanching an assortment of greens so that you end up with a generous bowl of vibrantly coloured vegetables, which are then dressed in a warm coconut and mint dressing. 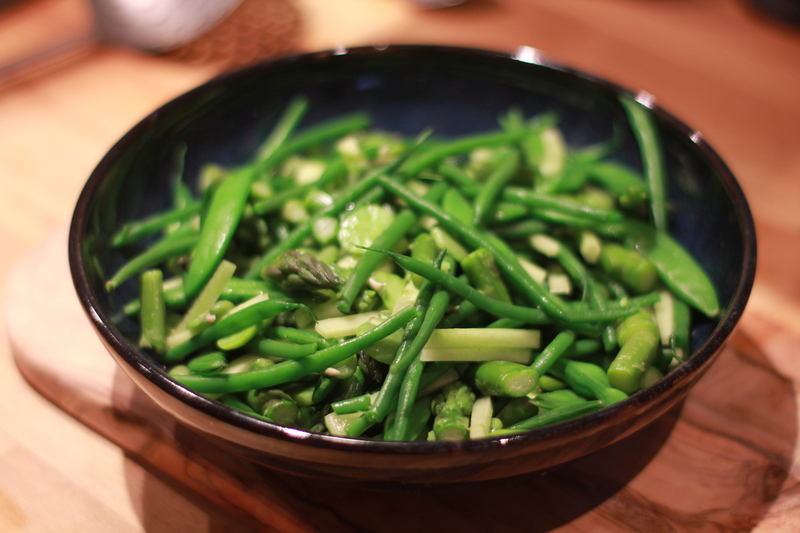 You can more or less make it at any time of year with green beans, broccoli, cabbage, whatever’s available, but it’s especially appealing in the late spring and early summer when you have asparagus and broad beans, or soon fresh peas at your disposal. 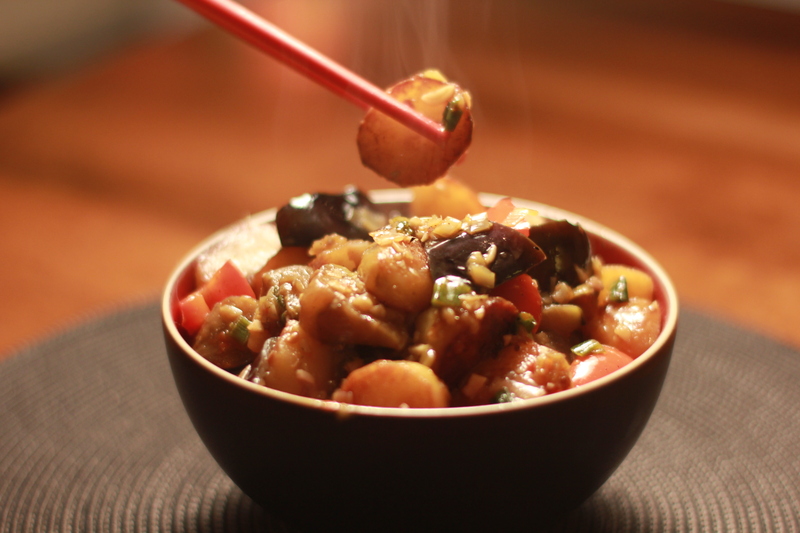 *For vegetarians, add salt to taste instead of fish sauce, and a tbsp of water. 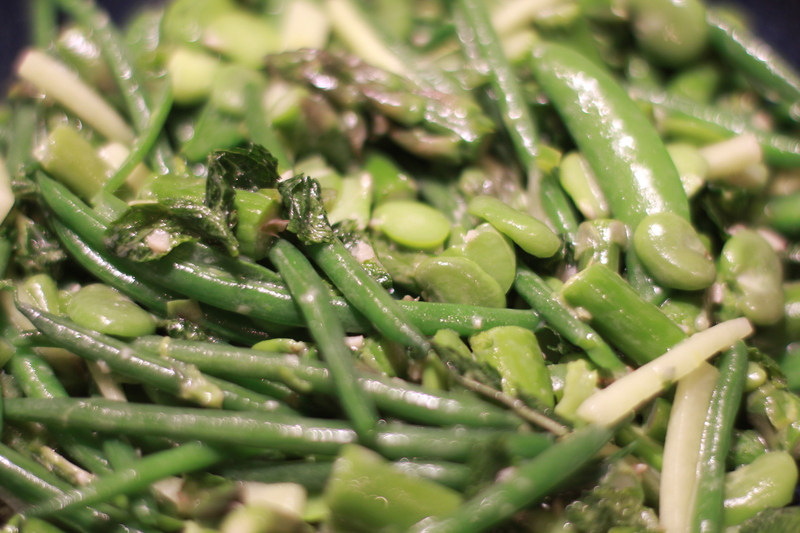 Pod the broad beans, chop the asparagus, top and tail the beans. 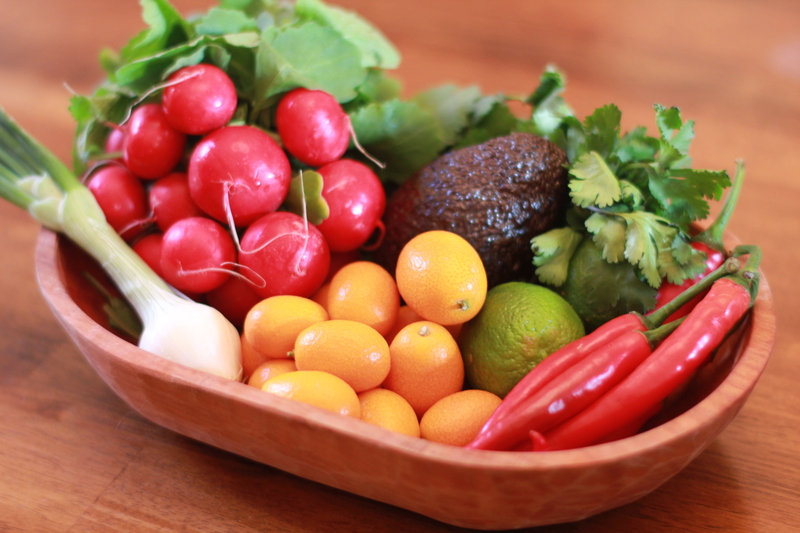 Bring a pot of water to the boil and blanch the vegetables each for 3-5 minutes, until just cooked. 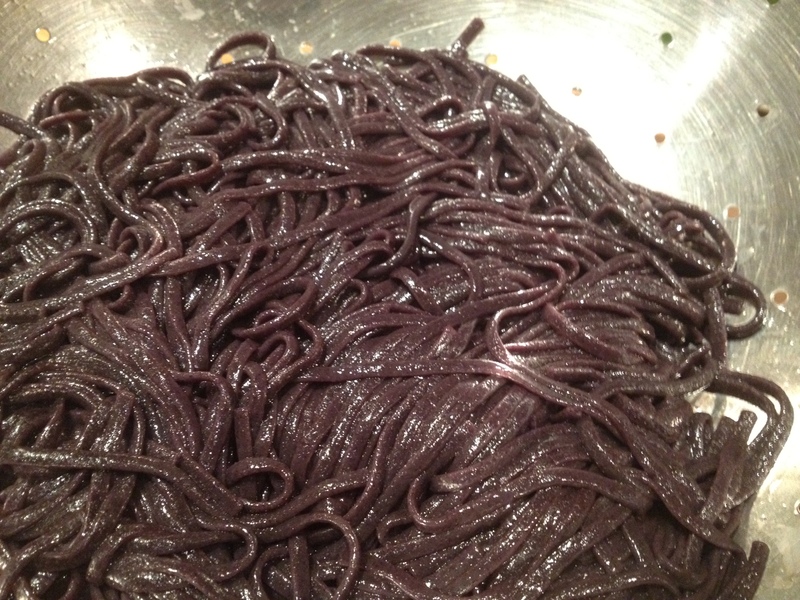 After each one is done, drain well, pat dry, and add to a bowl. 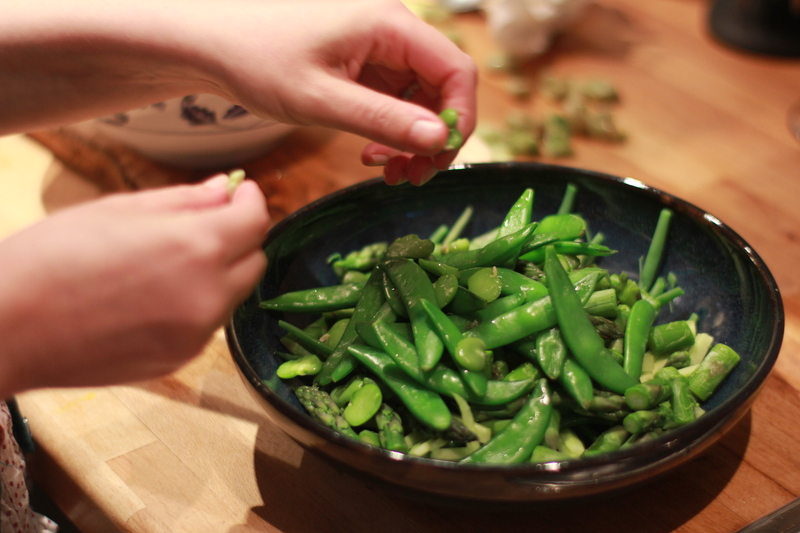 Keep the broad beans separate so they can be peeled when cool. Meanwhile, julienne the cucumber. To make the dressing, heat the oil in a small pot and gently sauté the chopped garlic till golden. 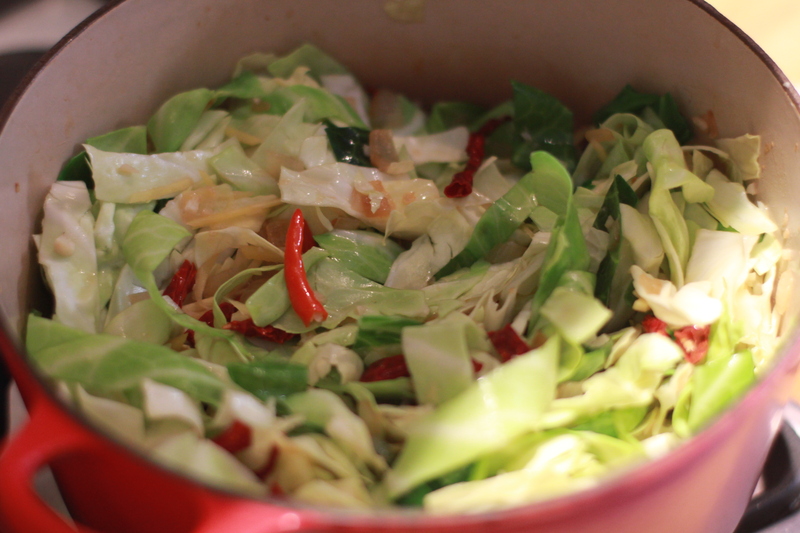 Remove from the heat and add the chili, sugar, coconut cream and fish sauce. 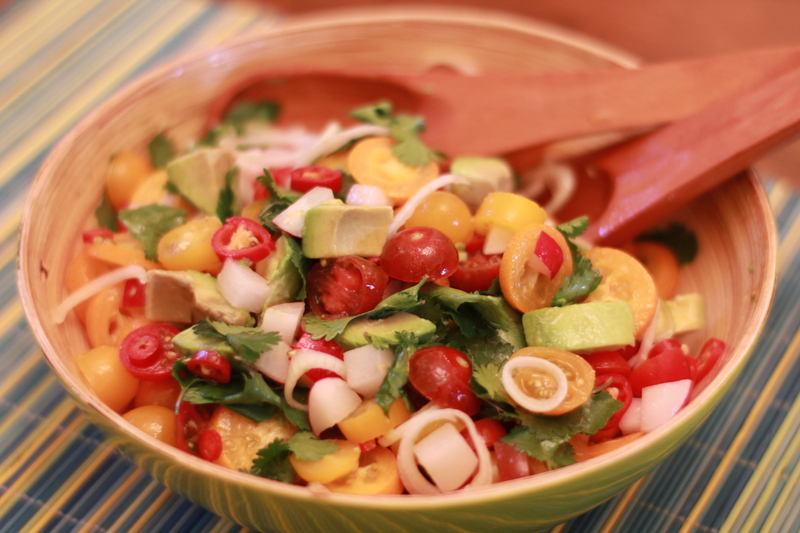 When you are ready to serve, add the lime juice and mint and mix with the salad. Serve over rice.